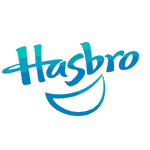 Hasbro has been around for nearly a century, and their products have touched just about all of us at some point in time. Mr. Potato Head is a household name, and G.I. Joes have become synonymous what for boys play with instead of Barbies (though I distinctly remember never playing with either). Some of Hasbro's board games, such as Monopoly, can take more time to complete than modern first-person shooters, and since their acquisition of Wizards of the Coast, the company lays claim to our Pokemon, Dungeons & Dragons, and Magic: The Gathering-related memories as well. Now the toy giant is expanding into the mobile game development space by purchasing a 70% stake in Backflip Studios for $112 million. Backflip Studios was founded in 2009 and has produced Army of Darkness: Defenses and a whole slew of other titles that have been downloaded over 300 million times. Despite their popularity, none of these games are exactly household names, but Hasbro's branding can take care of that. Expect to see mobile adaptations of the company's properties pop up as a result of this transaction. If you can't wait, consider checking out the pre-existing licensed titles developed by Electronic Arts.